Potstickers are the popular dumplings that are pan-fried on one side and steamed on the other. Saute or blanch vegetables until just wilted. Drain and coarsely chop. Mix pork with seasonings. Add to chopped vegetables. Put a generous tablespoon of pastry onto a sheet of filling. Make into a traditional dumpling, or use a crescent press and press into crescents. To fry dumplings, fry dumpling on one side until golden, then turn. Add a small amount of water and cover for 3 minutes, to make sure the filling is properly cooked. Remove lid when water has more or less evaporated but do not touch dumplings. Add a bit of oil and fry for another minute. Toss dumplings around to cook them evenly. 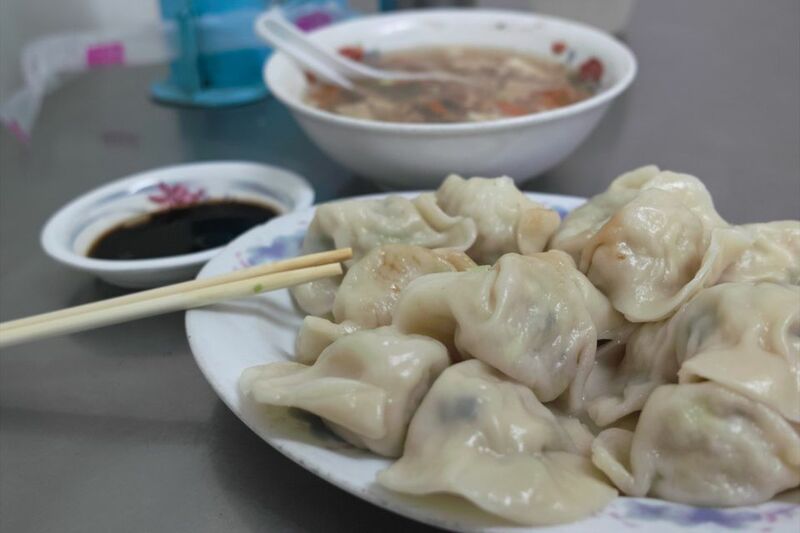 A healthy alternative is to steam dumplings in steamers on high heat for 8 minutes after the water has come to a boil. For dipping, use either Chinese or balsamic vinegar with ginger shreds. Soy sauce and vinegar are good as well. *Thicker than wonton wrappers, dumpling pastry is designed specifically for making dumplings. The pastry is cut in rounds and sold in all Chinese groceries, plus the ethnic food sections of some large grocery chains. Ginger Dipping Sauce - this easy to make dip also goes very nicely with potstickers.